Tom Ford has a thing for oud. He is reputed to have been the first person to popularise and bring the ingredient (albeit a decent synthetic rather than real thing) to mainstream perfumery with Yves Saint Laurent’s impressive M7 in 2002. Since then he has remained relatively active on the oud front, releasing the equally impressive Oud Wood (a robustly woody oud for western tastes) as part of his initial onslaught of Private Blends way back in 2007. Cut to 2013 and Mr Ford is once again throwing his hat into the somewhat overcrowded oud ring with The Private Blend Oud Collection. 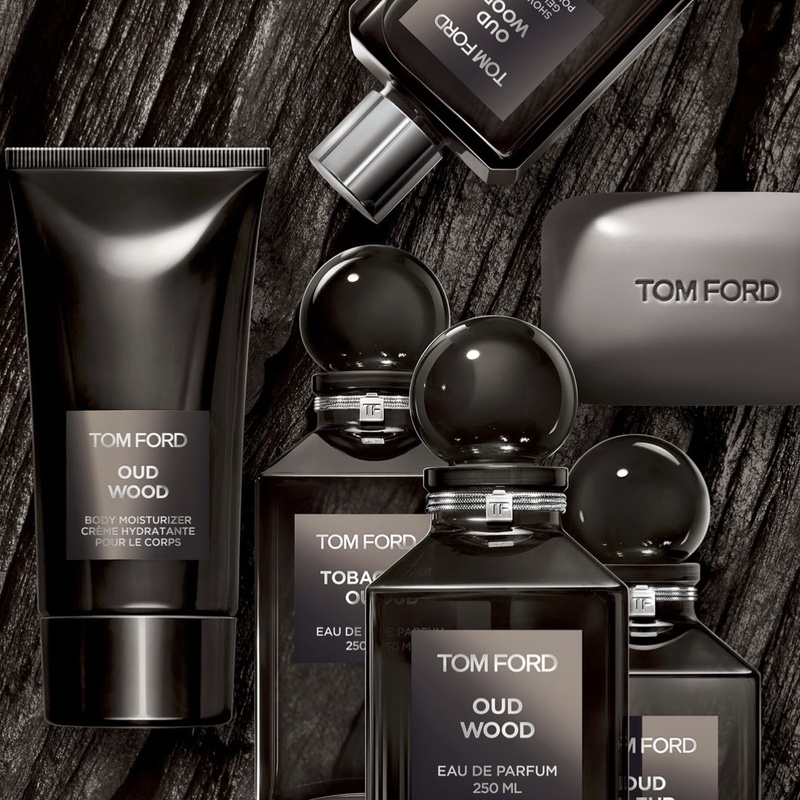 The collection sees the repackaging of Tom Ford’s immensely popular Oud Wood in addition to the release of two brand new fragrances, each displaying a unique and entirely TomFordian take on the most intensely addictive (and definitely over exposed) of aromas. The two new perfumes are Tobacco Oud and Oud Fleur. The former is inspired by Dokha, “a blend of herbs, flowers and spice-laden tobacco that was smoked in secret five centuries ago during a ban on smoking” and is suitably tobacco-filled. Oud Fleur is somewhat more difficult to pin down, and presents a slightly more individual take on the note. Between the two of them however, these two new fragrances show that when it comes to oud, Tom Ford is a significant cut above the rest. 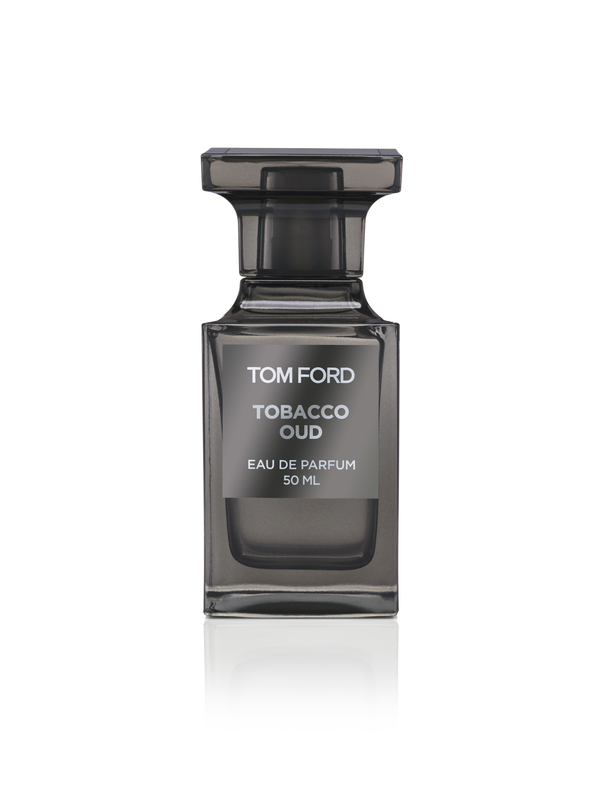 If one was blindfolded and presented with Tobacco Oud without any knowledge of the perfume’s name, ingredients or origin one would immediately be able to recognise it as a Tom Ford creation. Like most perfumes the brand has on offer, it is rich, baroque, intoxicating and just a little bit gaudy in exactly the same way many of Ford’s scents are, and that is precisely what makes it so enjoyable. It’s fair to say that the Tobacco part of Tobacco Oud is much more prominent than the Oud, especially in the perfume’s opening stages where a cacophonous cloud of amber, dried fruits and tobacco smoke fills the air like a burning bonfire of exotic woods, casting elegant plumes towards the sky. Oud adds darkness and a bitter quality that prevents things from becoming too gourmand. It also brings subtle undertones of barnyard, with tiny hints of warm, slept-in hay providing a rather enjoyable touch of raunch. The base however, is all vanilla, smoke and spice, and in the far dry down Tobacco Oud settles to a plush (and still rather loud) and intensely auburn mixture. Tobacco Oud is a satisfying fragrance and one that will easily find many fans. Everything is nicely proportioned and the stonkingly loud and warm sillage it possesses is both delicious and joyfully enveloping. Where Tobacco Oud lets itself down however, is in the fact that it’s not entirely unique and Ford already has two fragrances – Tobacco Vanille and Sahara Noir – that are more than slightly similar. Therefore, If one is looking for an brand new and interesting oud then Oud Fleur is a much better bet. Oud Fleur is distinctly more unusual than any of Tom Ford’s other ouds. For a start it is much quieter in terms of volume and instead of opting to play to the obvious cues of Middle Eastern perfumery it portrays a softer and more fragile side of oud. This is no hefty stonker of an oud, the likes of which one is used to seeing. Here the delicate relationship between oriental spices and exotic flowers reigns supreme. For the most part, Oud Fleur centres on the collision of three star ingredients; saffron, oud and osmanthus. We’ve seen the pairing of oud and osmanthus before, specifically in Mona di Orio’s transcendently beautiful OUD. But where’s Mona’s oud is evocative of a lover’s warm breath, Oud Fleur is somewhat colder and more aloof, instead conjuring up the image of a vast field full of monochrome flowers. Osmanthus has a tendency to smell of juicy and waxy apricots but in Oud Fleur the effect is more ashen, with a measured dose of cardamom drying-out the flowers and adding to the overall grey feel, whilst a touch of pimento-soaked and cinnamon-dusted rose intensifies the sharpness. Much like Tobacco Oud, Oud Fleur warms up with time and the base is a spiced vanilla and floral affair, albeit less immediately Middle Eastern in feel and much quieter. To put it simply, Oud Fleur is mesmerising and as far as ouds go it is most definitely worth trying. It’s an oud fragrance that doesn’t give everything away at first sniff – instant gratification isn’t the modus operandi here – and it draws you in with each application. This is an oud that has one mission – to captivate. Tobacco Oud and Oud Fleur (and Oud Wood) are available in 50ml (£140) and 250ml (£320) Eau de Parfum. The Private Blend Oud Collection also consists of Oud Wood scented products, including; a Soap Bar (£26), Shower Gel (£42) and Body Lotion (£42). Posted in Oud, Perfume Reviews, Tom Ford, Unisex and tagged Olivier Gillotin, Oriental, Oud, Oud Fleur, Oud Wood, Private Blend, Private Blend Oud Collection, The Oud Wood Collection, Tobacco Oud, Tom Ford, Yann Vasnier. Bookmark the permalink. Eau my Magdalena! Had no idea about these or about the soap pictured. I am Osmanthus. Where does he find the time? This must be a particular passion. The ones I wear most are Oud Wood and Tuscan Leather. Dude, I cannot figure out how to enter your giveaway – lol’s. Haha, nice try! 😉 The soap is pretty wonderful, I must say. I keep getting lovely whiffs of Oud Wood when I walk into my bathroom. Out of the two the Oud Fleur shines for me. It’s just so much more mysterious than the crowd pleasing (and nicely done) Tobacco Oud. Hmm, a crowd pleaser, a connoisseur pleaser but where is the wallet pleaser in this range? Ah, the soap. I have to say that I’m not really into Tom Ford perfumes and I highly doubt that these new two will make it to Poland but i just wanted to stop by and say that I like bottles he used for these two. Gray-ish glass is so chic. I used to be much more in to his Signature Collection than the Private Blends but the launches this year have changed that somewhat. I agree re the grey bottles. They’re even lovelier in person and the silver on the lids looks pretty nifty. Why, thank you! These are definitely worth trying, even if they are ouds. I really thought i was all oud’ed out but then you write about Oud Fleur in such an enticing way that now I have to try it at Harrods this Saturday. Safron, oud and osmanthus sounds so good. BTW I loved A Single Man but the ending was too sad! They are definitely worth seeking out! Very good for this weather, too. A Single Man is sublime, isn’t it? So very sad though, I agree. I don’t like oud much. But I like Tom Ford’s perfumes… I should try these. And the soap looks really good. The soap is pretty awesome, it retains a lot of Oud Wood’s spicy facets without the rubbery-side. Hated osmanthus when I first tried it, and even now (while testing Oud Fleur) I’m not loving the back-of-the-throat fullness I get from it… and yet… I like this. I like the story this one tells on different body parts… I had to look for reviews because this one has me on the fence and confused. Hi Melissa! It’s good to have you back! Osmanthus can be a tricky note for sure, it has a sharp, chewy feel to it. Oud Fleur is a very good take on osmanthus and much better than many floral ouds.